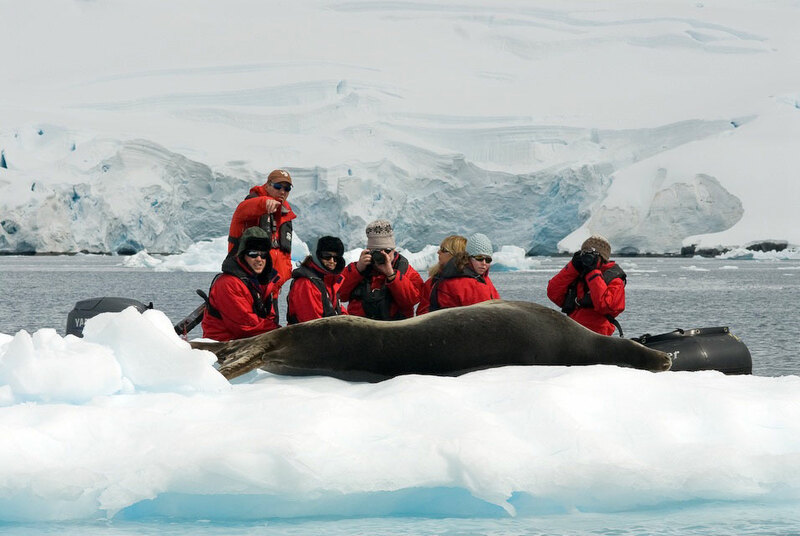 EYOS specializes in creating exceptional expedition experiences tailored to the individual. 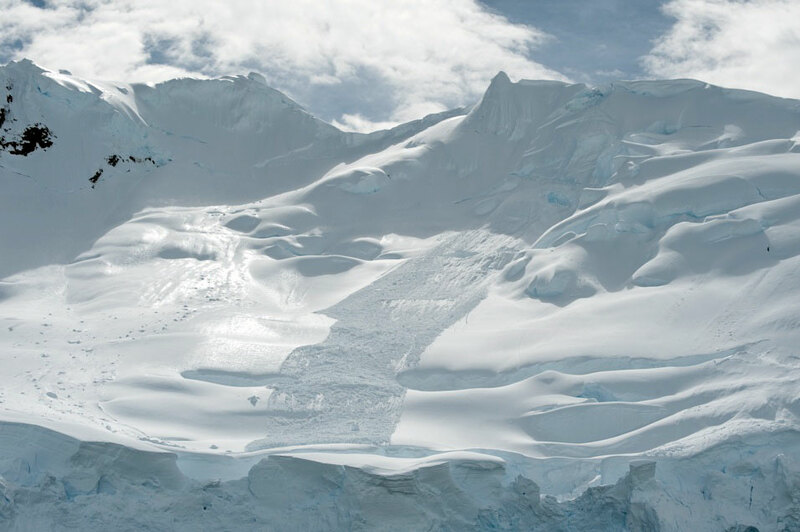 Come along with Rachel and Kevin Fox, who generously shared their images and captions from their EYOS Expedition to Antarctica. 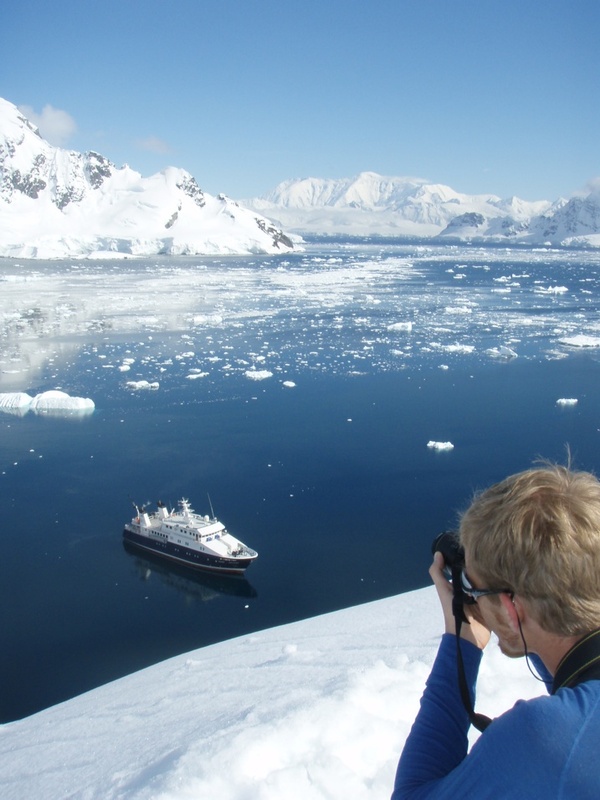 Look through their eyes and imagine how remarkable your expedition could be. 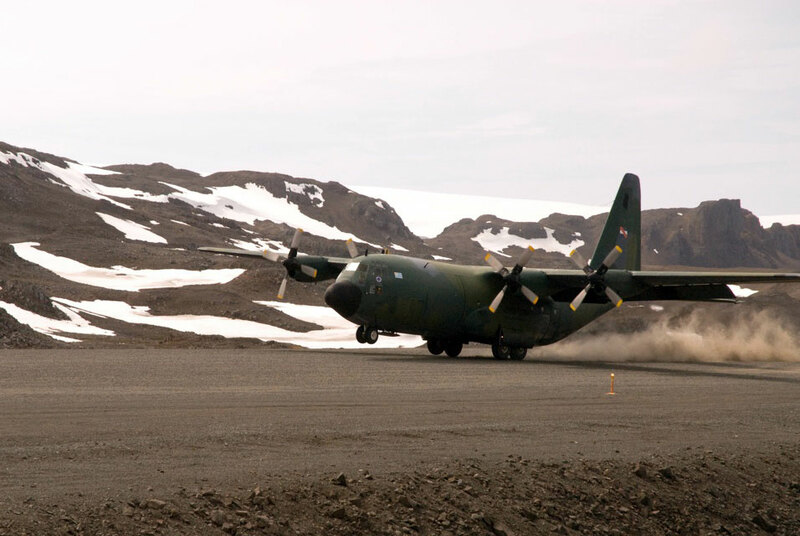 Our ride to Antarctica was in a military Hercules. It was an incredible and surreal experience and a perfect beginning to an incredible and surreal trip! Our first morning in Antarctica! 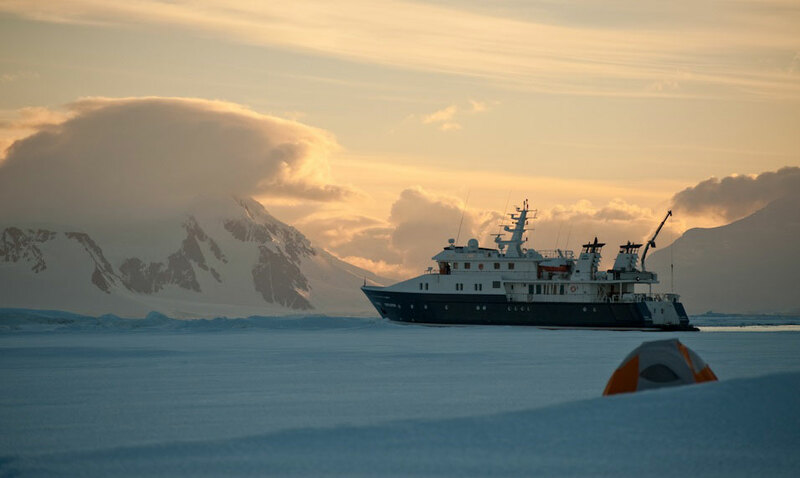 We quickly had an unexpected insight not only into the character of our Captain and his ship, but also into the differences between a 'cruise' and an 'expedition'. 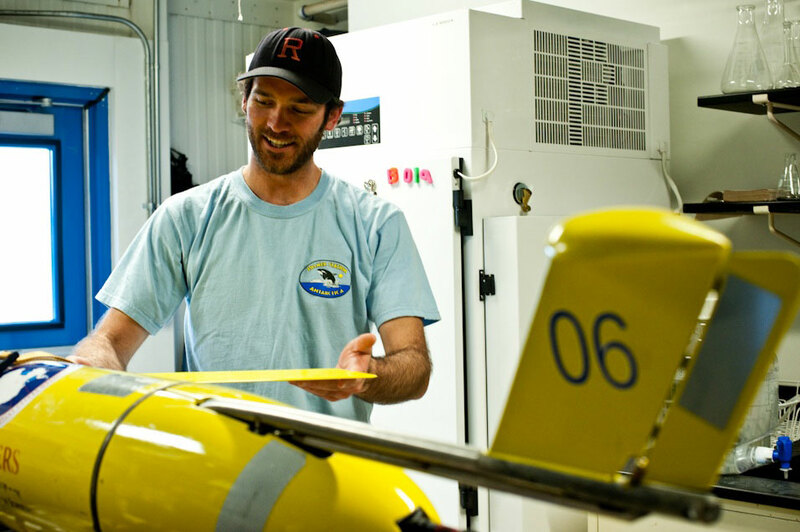 We explored a small harbor that is virtually uncharted - it has only a single line of depth readings, made by a ship more than 50 years ago sans such niceties as GPS or depth-sonar. 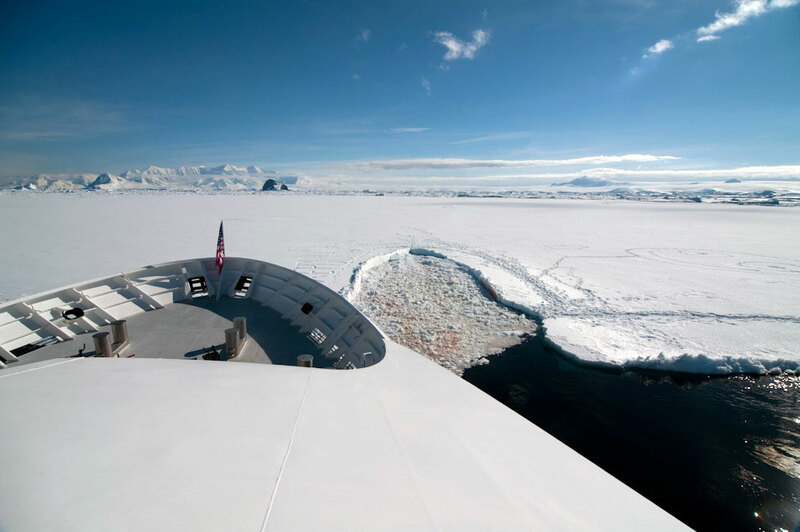 The captain asked us if we'd like to take a closer look at the berg, and of course we said yes. We inched closer and closer and were all just amazed and being so close. It was only our first morning on the ship and already our expectations were being reset. Unlike other Antarctic seals that subsist primarily on krill, fish, or squid, the leopard seal's diet consists primarily of penguins. Imagine our surprise at not only coming across a leopard resting on some floating ice in the harbor, but in coming close enough to get pictures like these. 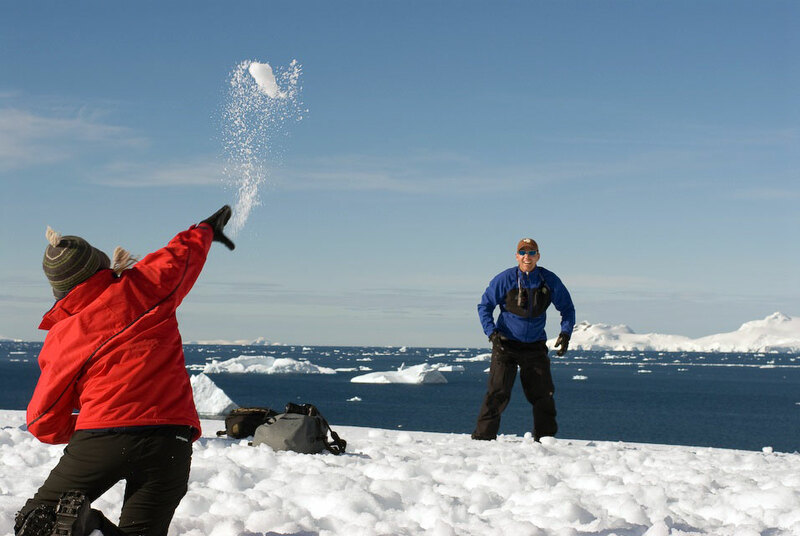 After lunch we made a zodiac landing on a pristine snow hill where the temperature was a balmy 40°F! Once we got to the top, we were treated to a vista of blues. Rob congratulated us on setting foot on the continent proper. Giddy at the weather and the sense of relief at actually being here we did what any family would do in the snow: play! And then the inevitable snow fight began. 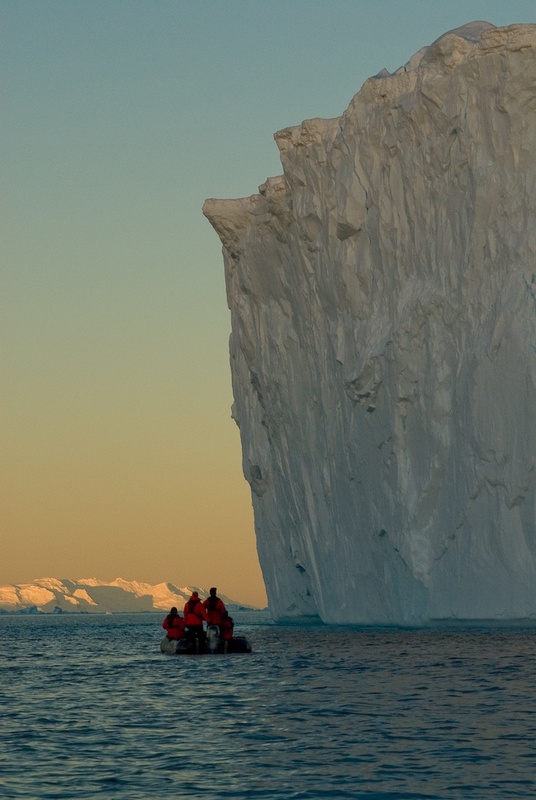 As the sun drew lower, we saw a tabular iceberg and went for it! It was absolutely amazing to feel how small you were beside this massive creation. The perfect end to a very long first full day. Woke up in Paradise Bay to just beautiful weather. 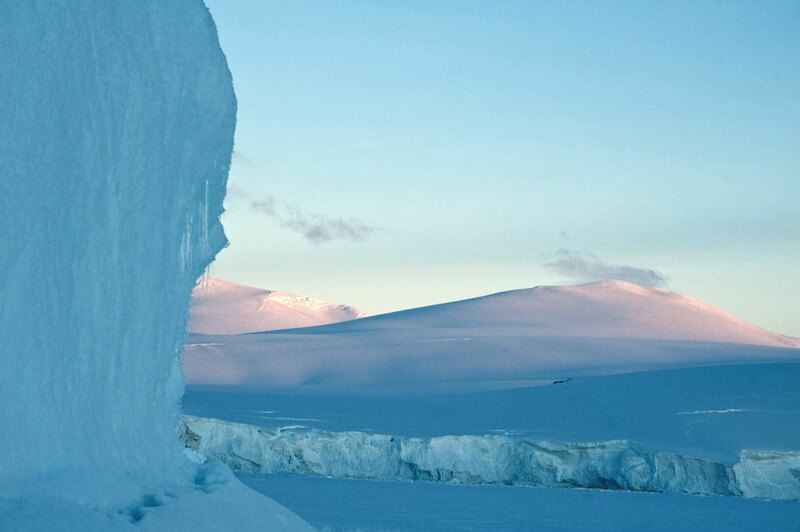 Tumbled icebergs take on so many shapes. 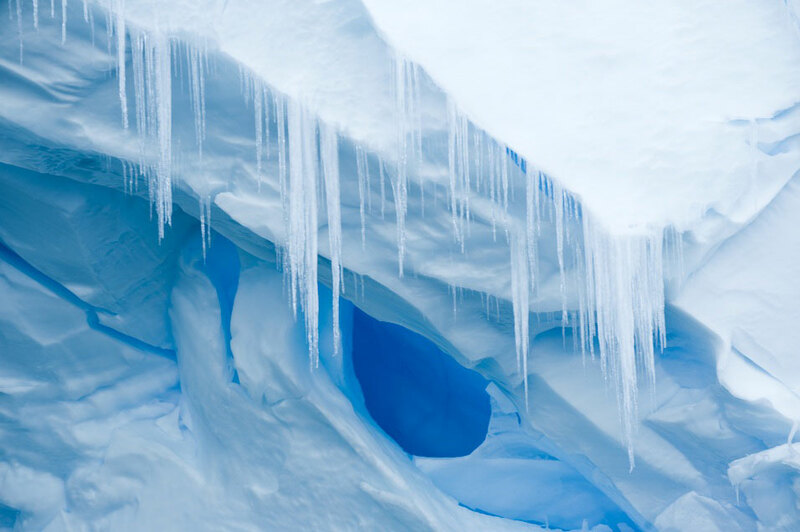 Like cloud watching, animals and stories appear in these beautiful icebergs. 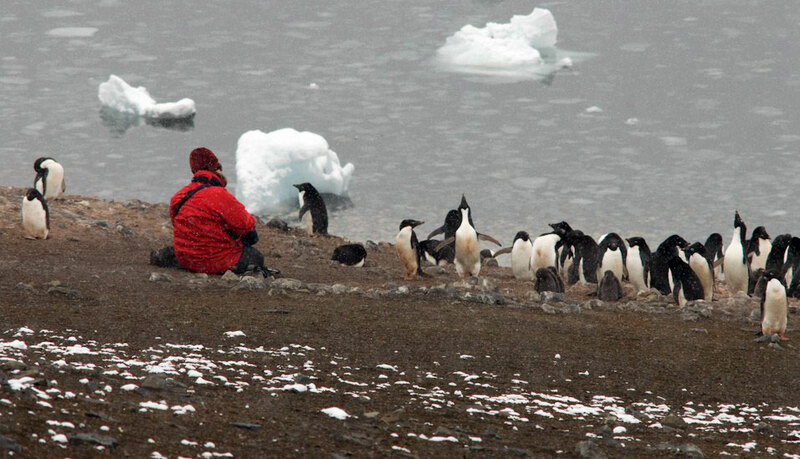 Our naturalist Rob told us how to penguins, pebbles are happiness. 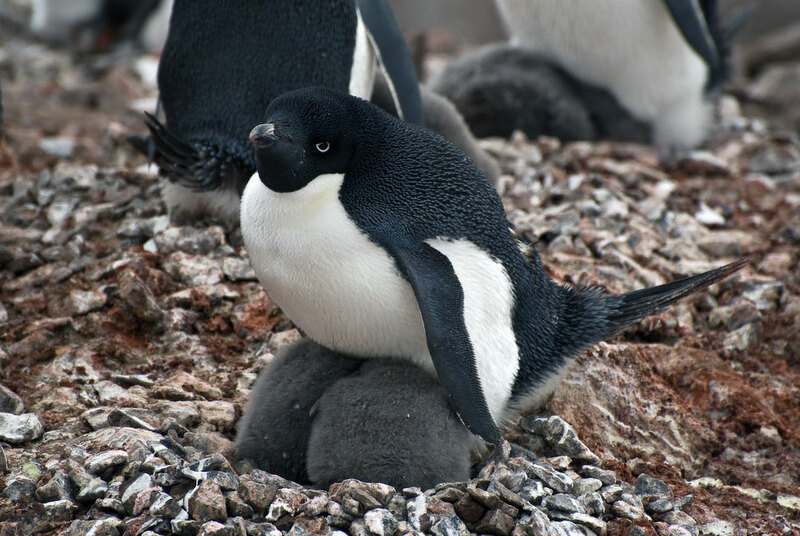 Penguins use pebbles to provide drainage for and build their nests. 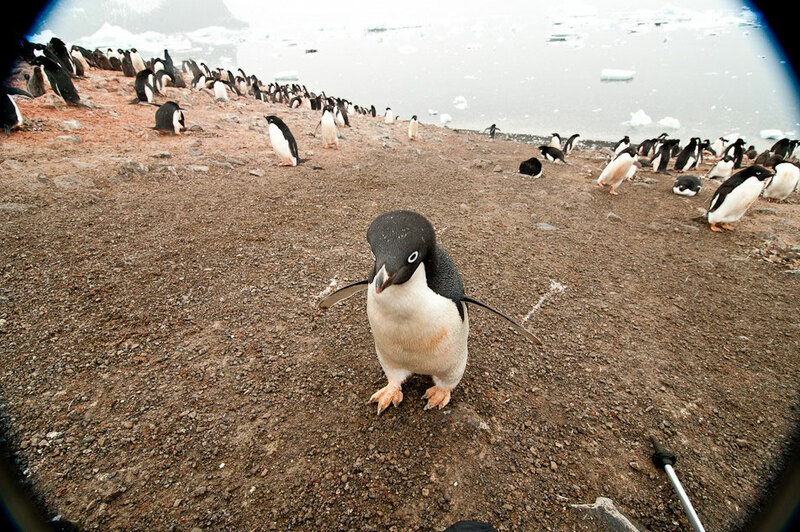 Penguins also bring pebbles to their mates as a sign of affection. Its like bringing home flowers or some other trinket for the house. 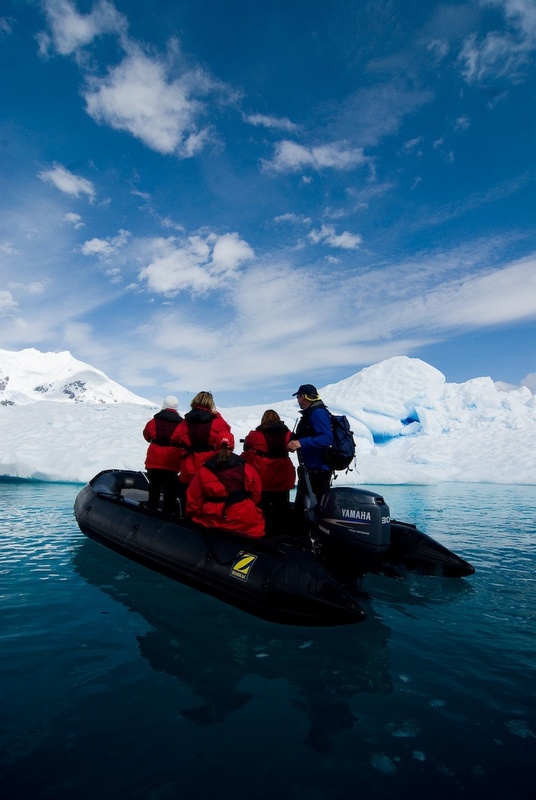 Observing the Beauty - One of our zodiacs enjoying the beauty of this bay in Antarctica. 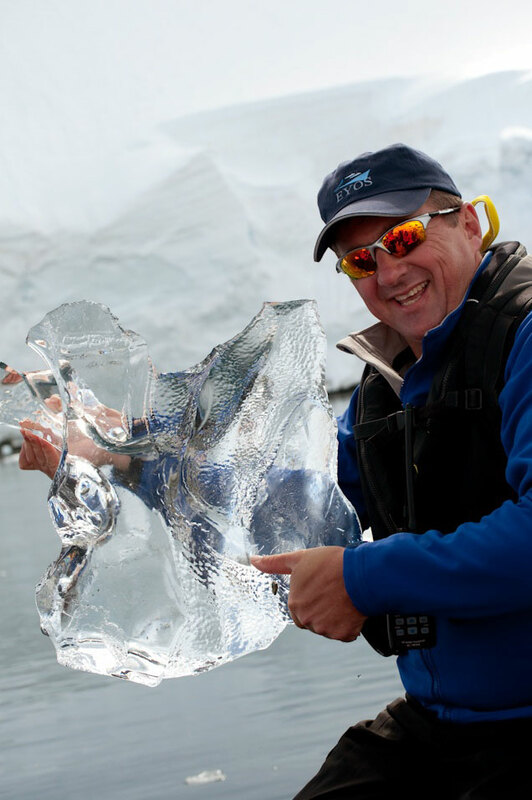 Rob showing off this chunk of glacier ice he pulled out of the water. Rob is pointing to gravel picked up by the glacier- but his hands have to be cold. 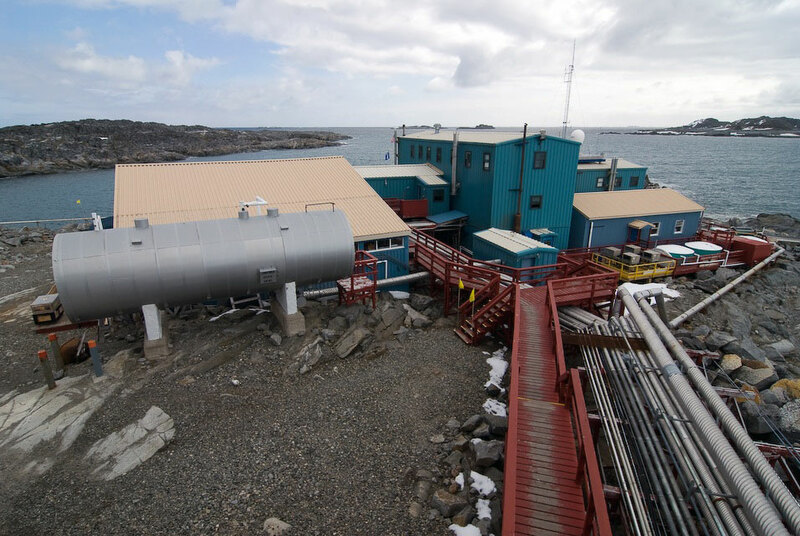 We got confirmation the night before we received one of the coveted few invitations to visit Palmer Station! Once we landed, we were met by the station managers, who gave us a tour & overview of the work being done at the station... and then invited us to dinner. Eating with the Palmer team was a rare and special honor. At dinner Alex invited us to the lab to see the Slocum Glider. The simplicity and efficiency of the device is staggering, and it was awesome to just banter with Alex about his work and life on the station. After dinner ashore, we invited the station personnel back to our ship. We talked about everything under the Sun and several things that weren't, as we heard stories of life overwintering at South Pole Station. 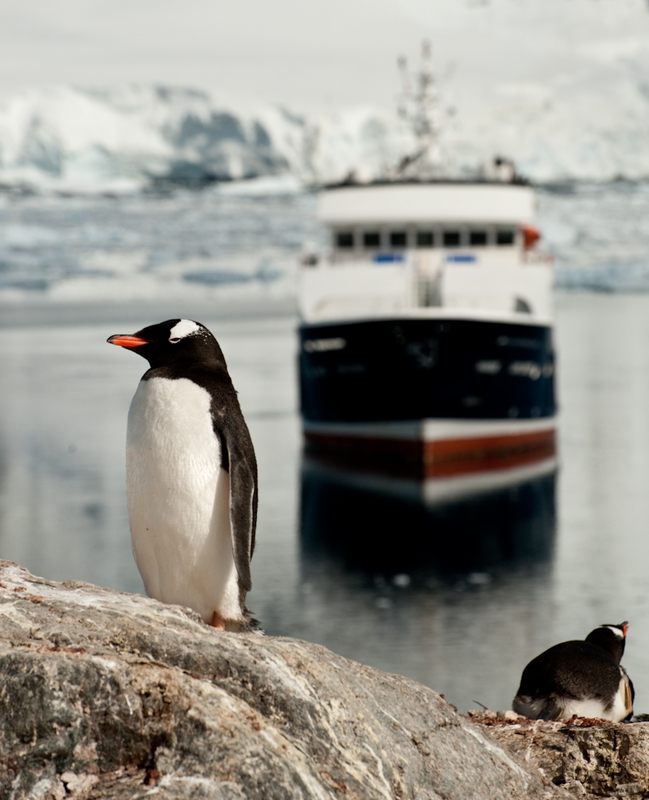 We knew when we set out on this trip that we could expect ice and penguins, but the rest would be a mystery. Tonight was exactly the kind of unexpected but thoroughly awesome experience we hoped for in general, but could never predict in specific. I love fish... this much! 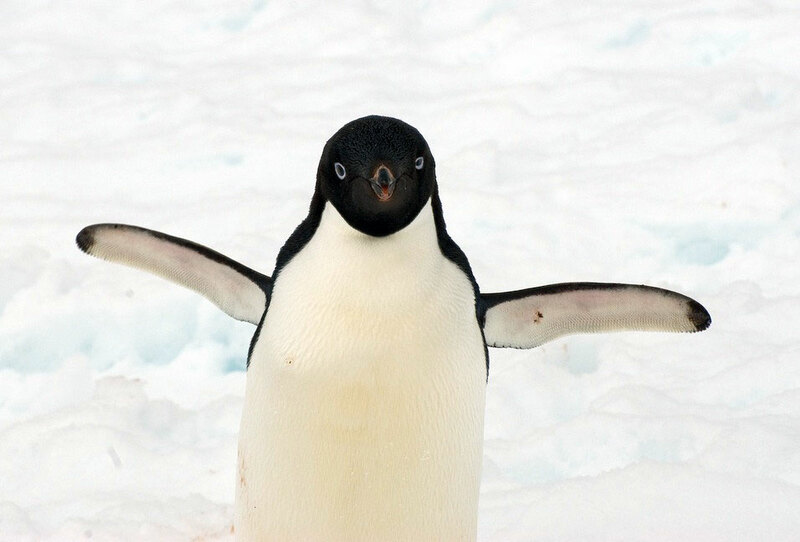 Adelie penguin on Petermann island, Antarctica. After staying up swapping stories with the folks from Palmer until after midnight, we treated ourselves by sleeping in a bit later than usual. 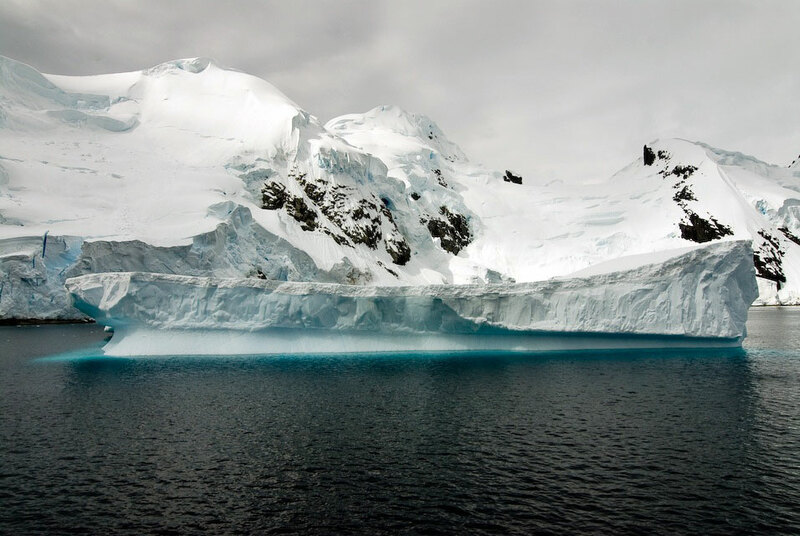 But before sailing, we grabbed our cameras and headed to the bow to witness our passage through the Lemaire Channel, a berg-riddled passage less than a mile wide. Fuzzy Slippers - Rob likes to say that when the two babies lay down with their heads under their parent, it looks like the adult is wearing fuzzy slippers. CUTE! Rob also says, "Who could believe in penguins unless they had actually seen one?" We never would have guessed just how much personality they have, how human they can act. 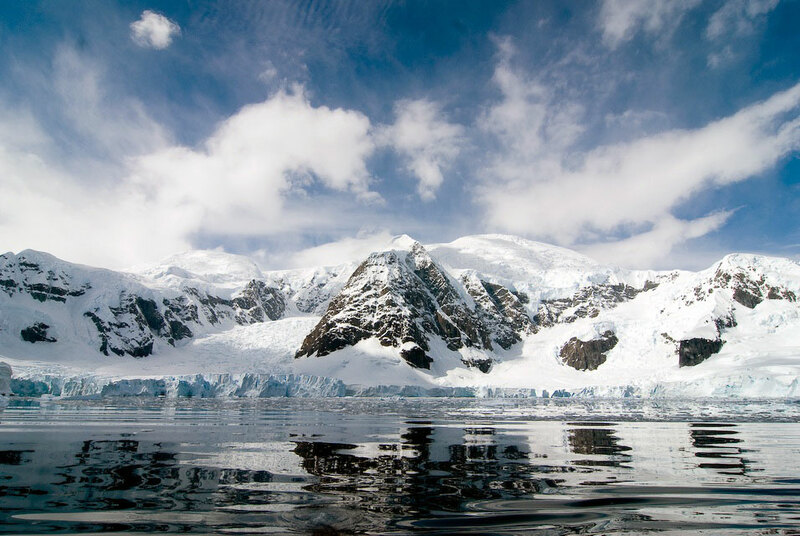 Antarctica isn't all about penguins and ice.. Sometimes (like this evening) it's about Ukrainian vodka and brassieres.. Today we had the honor of visiting Vernadsky Research Base, operated by the Ukraine. 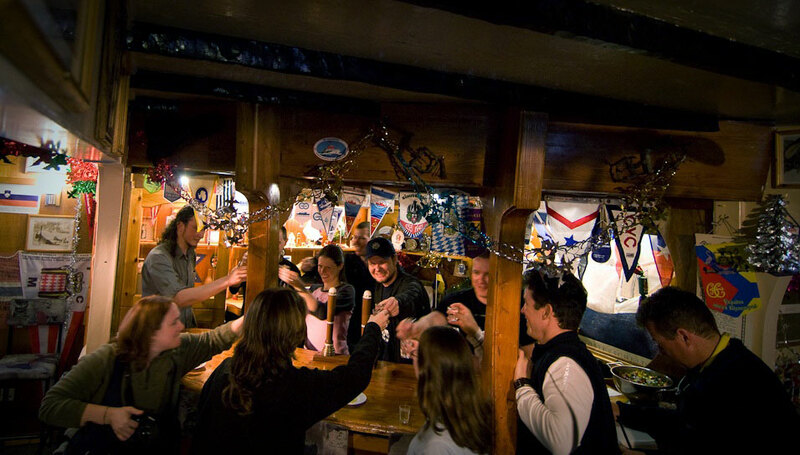 We drank, talked, and danced with the Ukrainians until midnight, when the station master politely reminded us that even though the sun was still shining his men needed to get to sleep, and so with vodka-warmed hearts and bellies we made our way back to our own roving base. 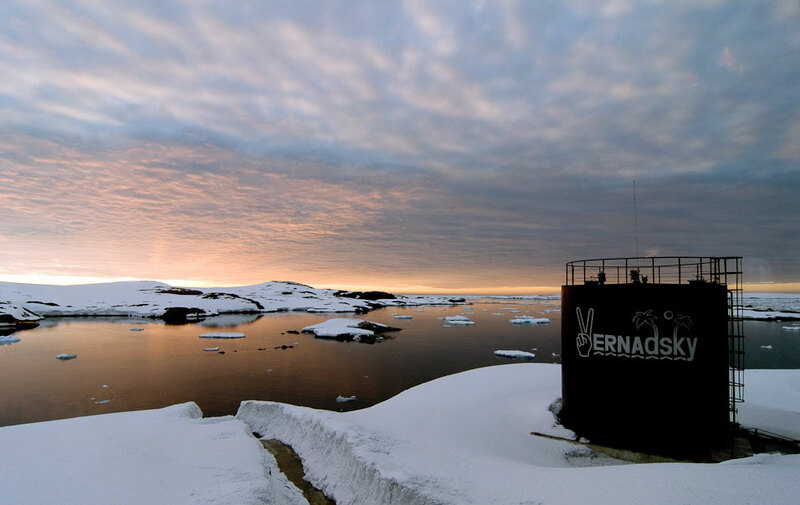 By the time we left Vernadsky for the ship it was midnight and the sea was liquid honey. 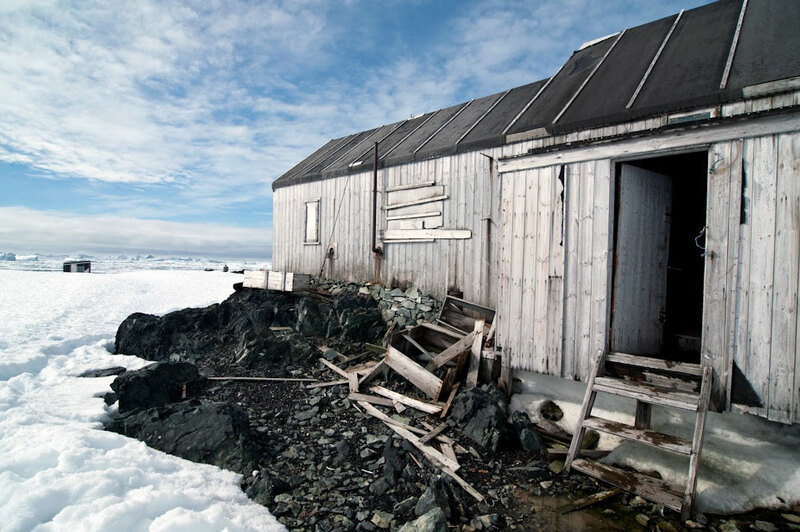 Without further words to get in the way, this is an Antarctic midnight. 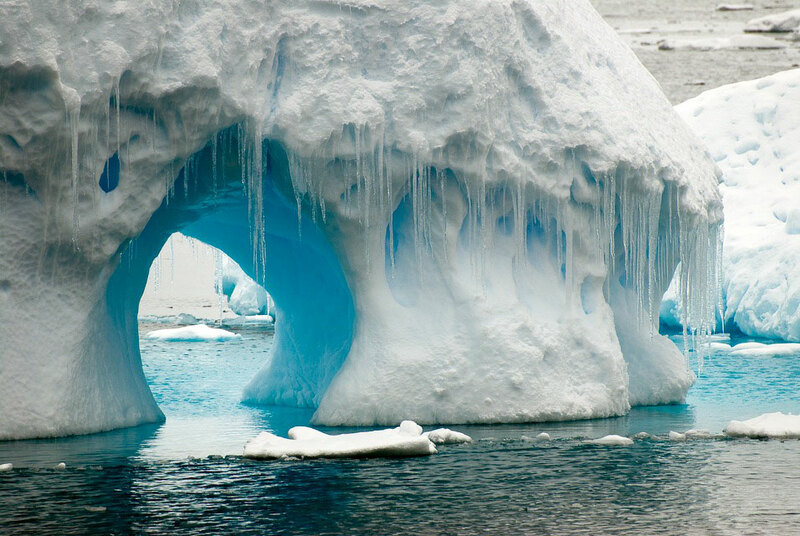 Antarctic Circle! 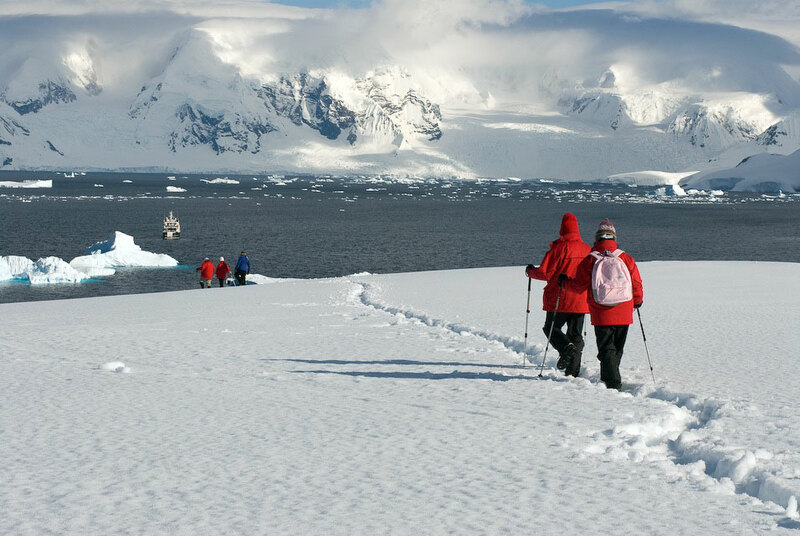 Vernadsky is the point where most ships turn back and explore the upper reaches of the peninsula, but we kept heading south. For all the sites we had yet seen, this morning was remarkable for the stillness and clarity imbuing everything as we glided silently through a seascape seemly frozen in time. In the sun the temperature felt like 60 degrees, so it was time for a polar plunge! 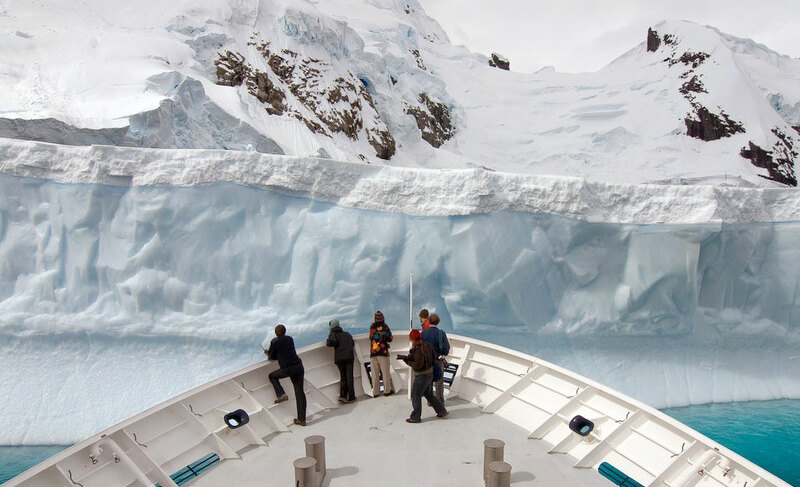 They rammed the ship into an ice floe, lowered the gang plank so we could walk right off the ship and onto the sea. 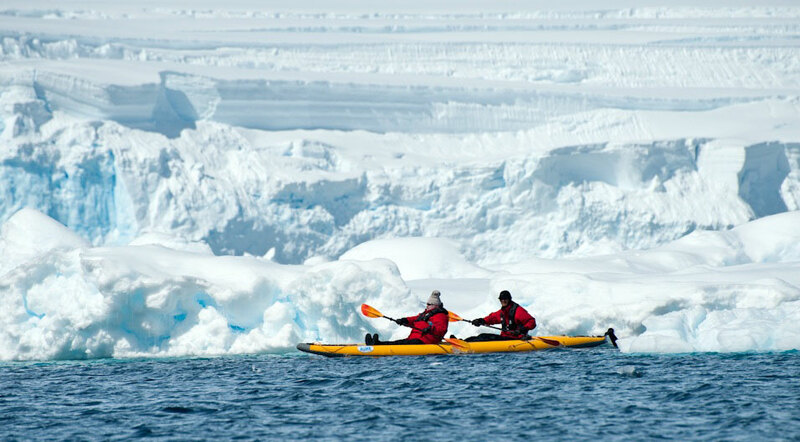 Rob and Tim scouted out the ice edge and rigged the ladder for our speedy retreat from the water. It was an amazing experience. Our original plan was to run straight from the water to the sauna, but instead we just hung around and cheered everyone else into the water. 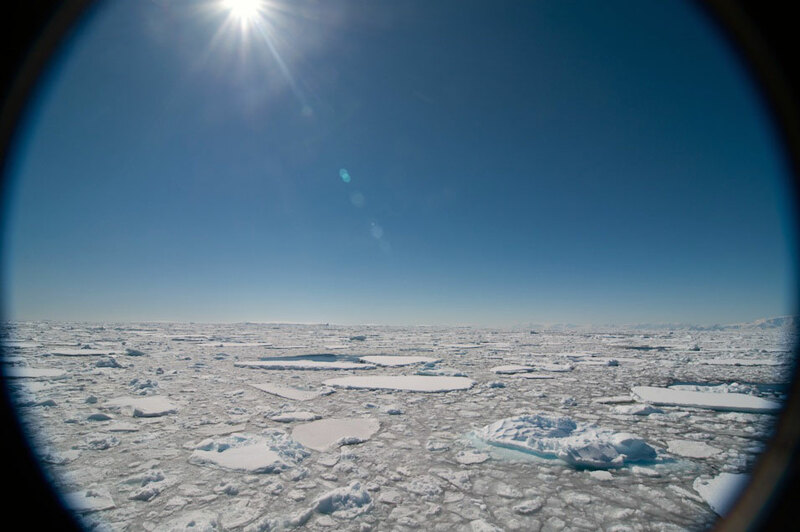 After warming up in the sauna from our polar plunge, we freed the ship from the ice floe we'd grounded upon (is it still called grounding when it's a 10 mile wide table of drifting sea ice you've attached yourself to?) and ventured ever southward. Beautiful scenery as we sail towards the Gullet. After dinner it was starting to get late, but we had one more big adventure ahead of us to cap the day. Next up: Ice Camping! 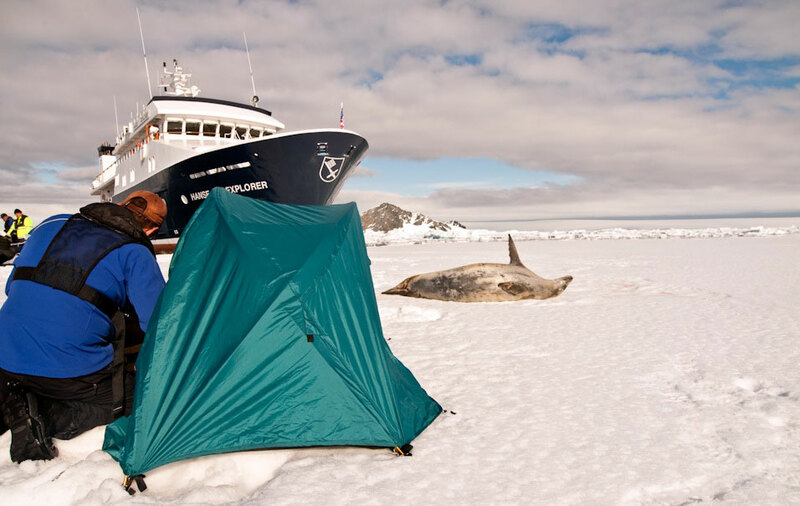 Camping is a whole different story when the tent is pitched on a sheet of ice four feet thick floating at about 1 mile per hour over the Antarctic Sea. Amazingly this was also the best night of sleep I got the entire trip!! It is 12:25am and we were still enjoying the beautiful pink, blues and yellows of the extended Antarctic sunsets. The sun would not actually set tonight. It was an amazing experience that continued to screw with our internal sense of day and night. Tim "knocked" on our front door with a thermos of hot chocolate at the door of the tent. Perfect wake up. As we climbed out of the tent Tim informed us that our ice floe had traveled 2.5 miles while we slept, a fact which kind of blew our minds. 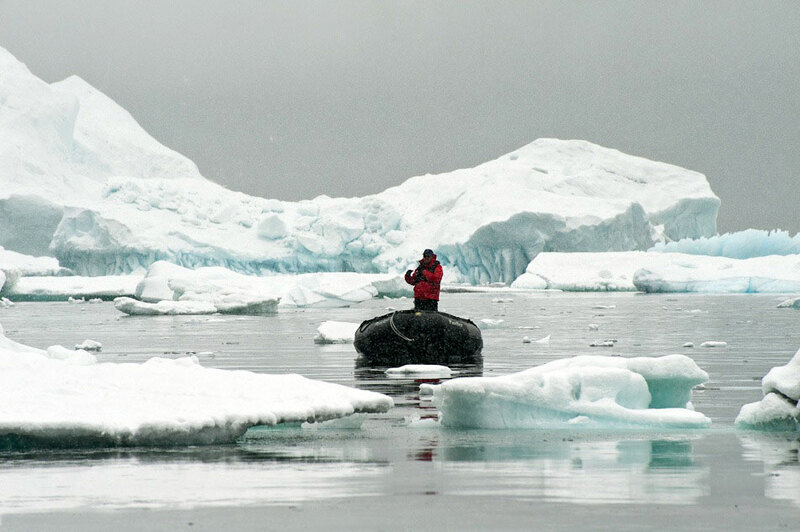 Crystal Sound had some great broken pieces of ice floe and we went out in the Zodiacs to watch the yacht cut through the ice. It is not an icebreaker, but it has an ice reinforced hull, and this is a tough little ship. 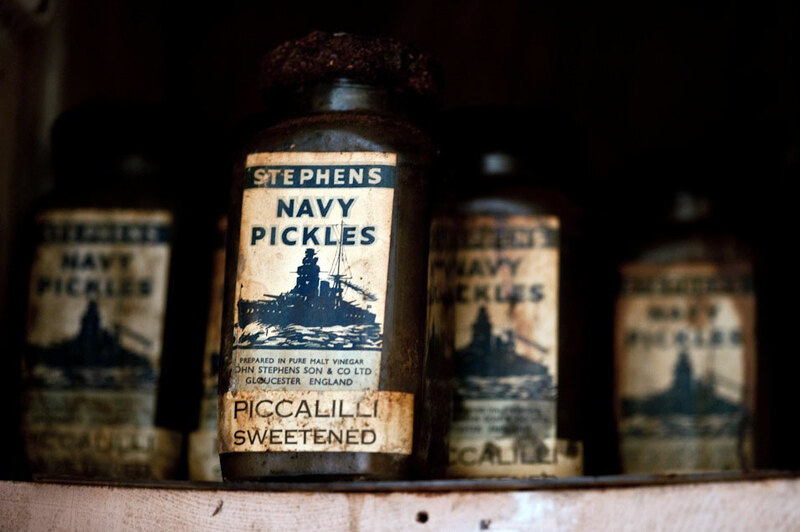 We stopped just off Detaille Island, an abandoned British base. 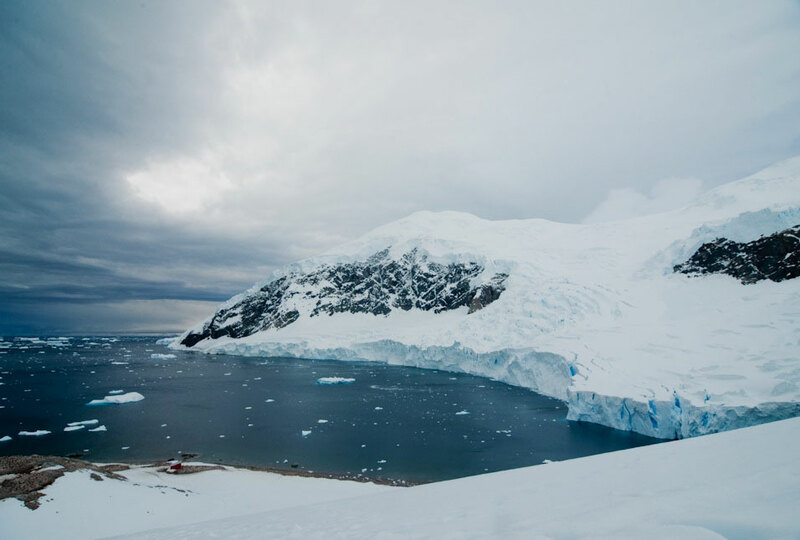 In 1959 the bay was completely impassable, filled with icebergs that not only made it impossible to unload, but also presented an urgent danger to the ship even staying in the area. The staff of Base W were given just one hour to pack up, make their way to the ship and abandon the base. Nearly everything is exactly as it was left by the residents scrambling to gather all items of value before they had to evacuate. The result is an incredible snapshot into the past. There are no velvet ropes, restored diorama or placards, just the reality preserved by the respect of the very small number of people who have had the good fortune and cooperative weather to facilitate the journey to this outpost. We slowed down our schedule a bit. Some of us kayaked, while I went on a Zodiac with Rob. We were tired but once out the door I never regretted a moment of it! 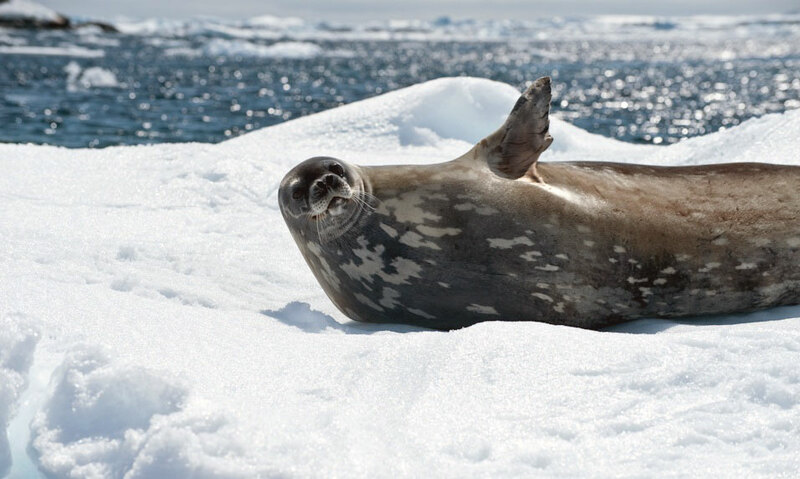 Weddell seal on the ice. I love that they react to us. Whether he is saying hello or go away, who knows, but I love him anyway. Heading to the far side of the island we found place to land and had a short hike before heading back to the boats. On the return, several of us tried our hands at driving the zodiac boats. All in all a great way to end a beautiful morning. 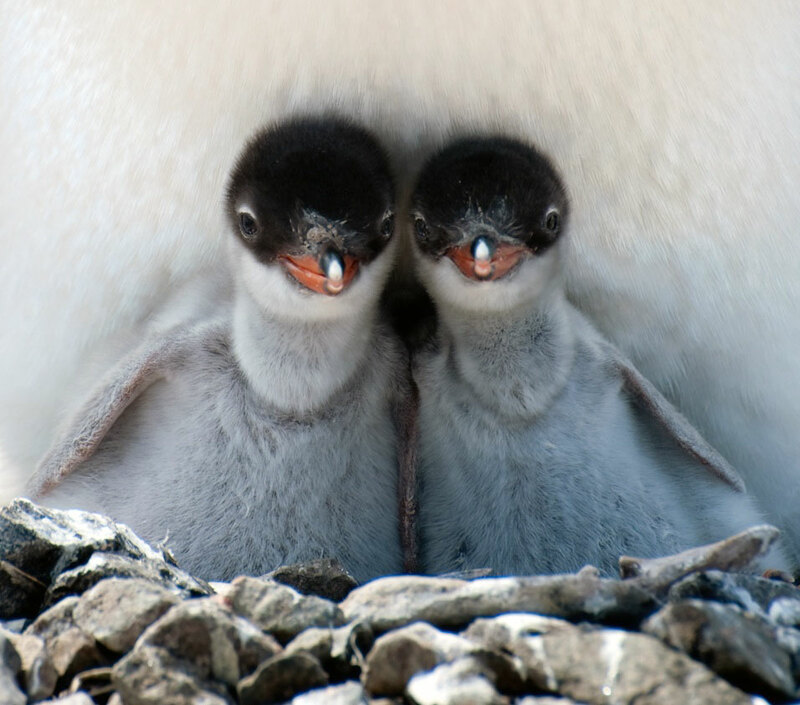 Two of a Kind - Two baby Gentoo penguins cuddled under their momma for warmth. The crisp air, the scenery, the WHALE! What more could we ask for? Last excursion of the day. I was tired after all we'd done, but dragged myself out as usual because I just couldn't conceive of missing anything no matter how tired I was. You just never know what you might find. When whales were spotted, Rob rushed out on the back deck, looked & then went right back inside & told everyone to hurry up & get ready as fast as they could. In record time, we were all loaded into the zodiacs, not entirely sure about what Tim and Rob were planning. 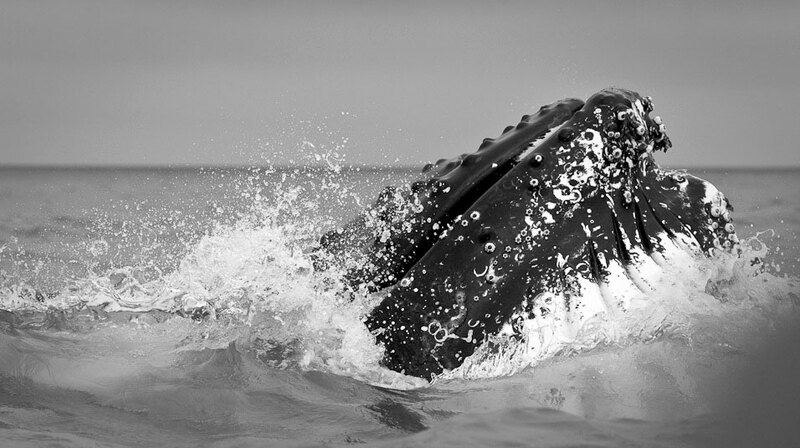 We definitely didn't think that we were about to get the close encounter of a lifetime. It was the most incredible experience ever. A feeling of being tiny and vulnerable, and also in awe at the majestic beauty. At one point three whales were feeding between our Zodiacs only about 30 feet apart. Have we mentioned that this may have been the most incredible experience of our lives? After our amazing experience with the whales we zipped over to Hannah Point. 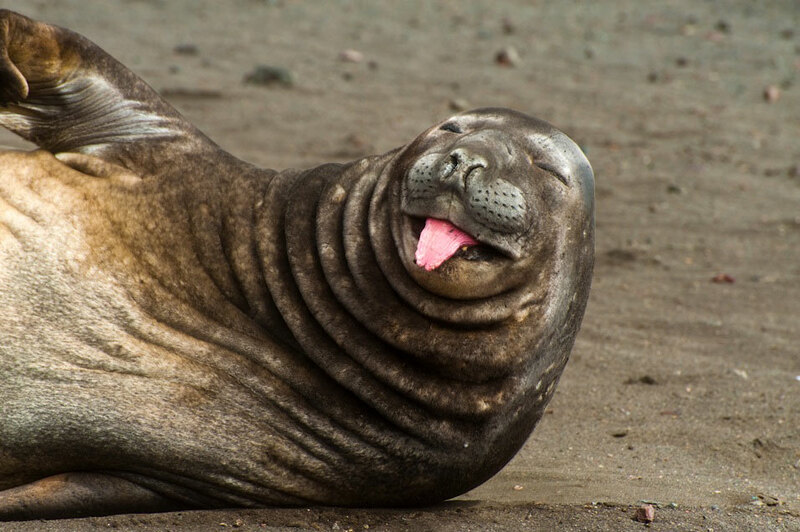 Rob and Tim asked us the night before when they asked what we still wanted to see, I said "Elephant seals! ", and so we ended up at Hannah Point. Our next stop was Deception Island. 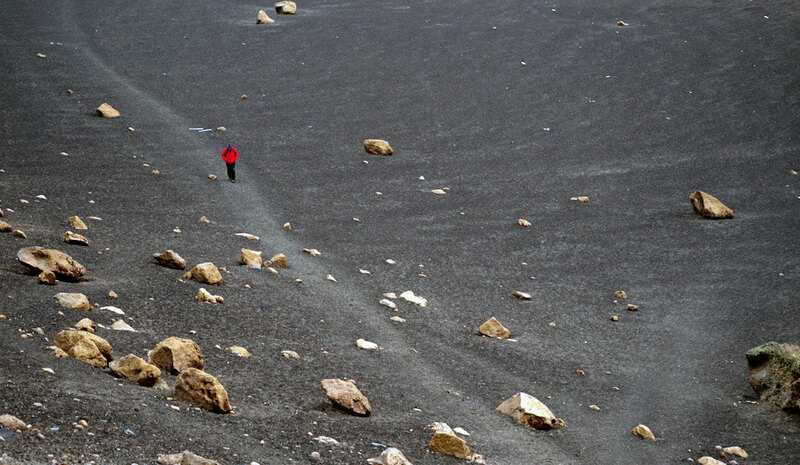 It was truly other-worldly to make landfall on Deception Island. 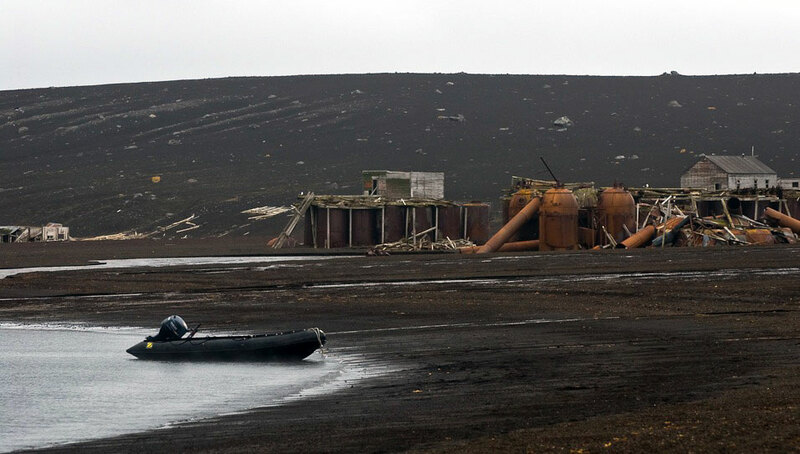 The rusting pressure boilers and storage tanks, the martian landscape, and the steam rising up around the zodiac from the heat of the still-active volcano under our feet made this one of the most surreal destinations in an already surreal expedition. 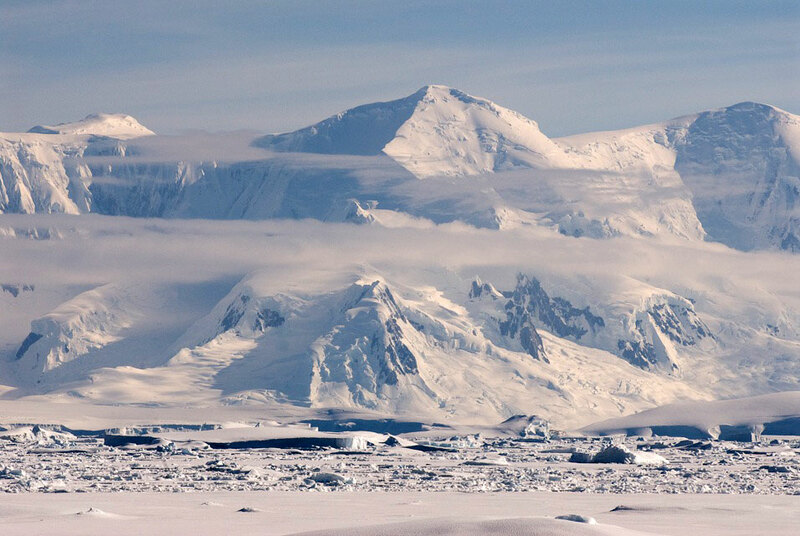 In Antarctica we already felt removed from civilization, but here it was like nature had said, repeatedly and with increasing force "No civilization here!". I really can't put into words the feeling of being here. If you get a chance to go, land with as few people as possible. The feeling of lonely surreality is not to be missed! Despite having been off the yacht pretty much all day and being rather exhausted from this and the day's two earlier excursions, the magic and mystery of this place were mesmerizing. As usual we had to be dragged back to the yacht. 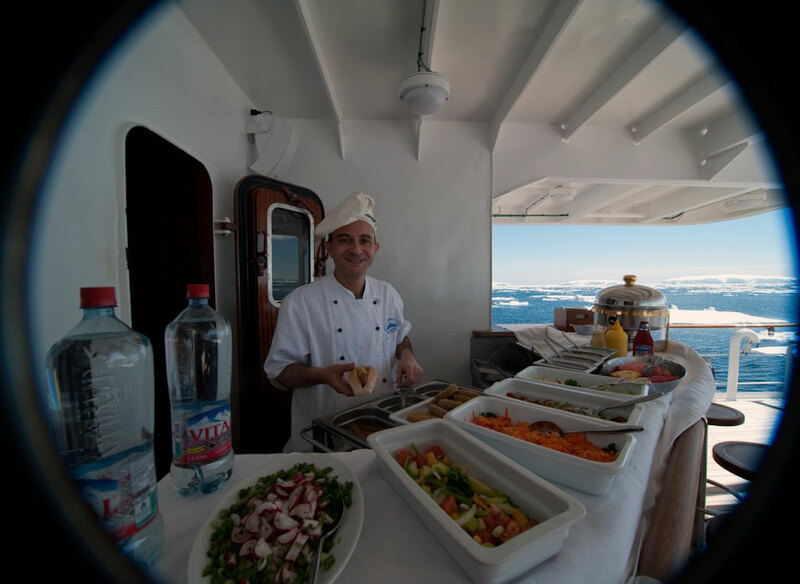 It was our last full day in Antarctica and Tim and Rob had a plan in place for doing as much as possible. We started with penguins as far as the eye can see; this guy was curious about me and came to check me out where I was sitting. An ecstatic display for Me? - Something tells me this penguin is happy to see *someone*. Probably the penguin next to them. A contemplative last look for us at the penguins. And then, it was over. 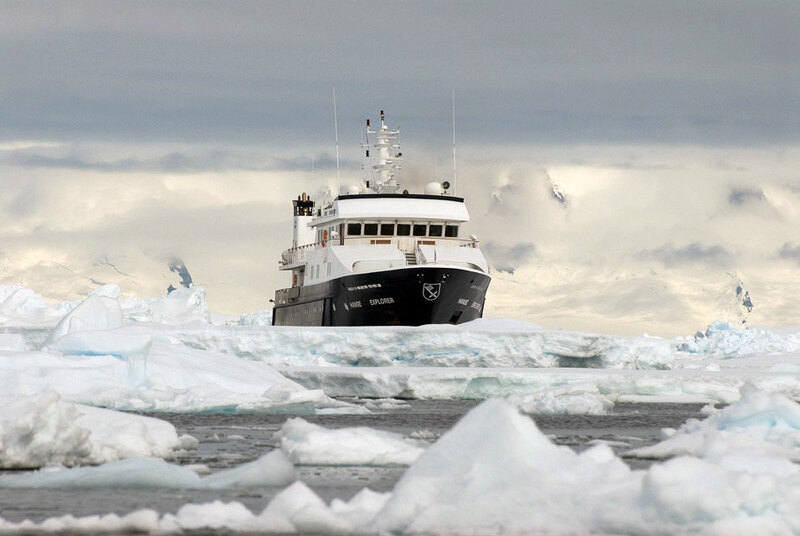 Tim came through the snow to get us and take us back to Hanse Explorer. We flew out the next morning, and so ended what was absolutely the best trip of our lives.